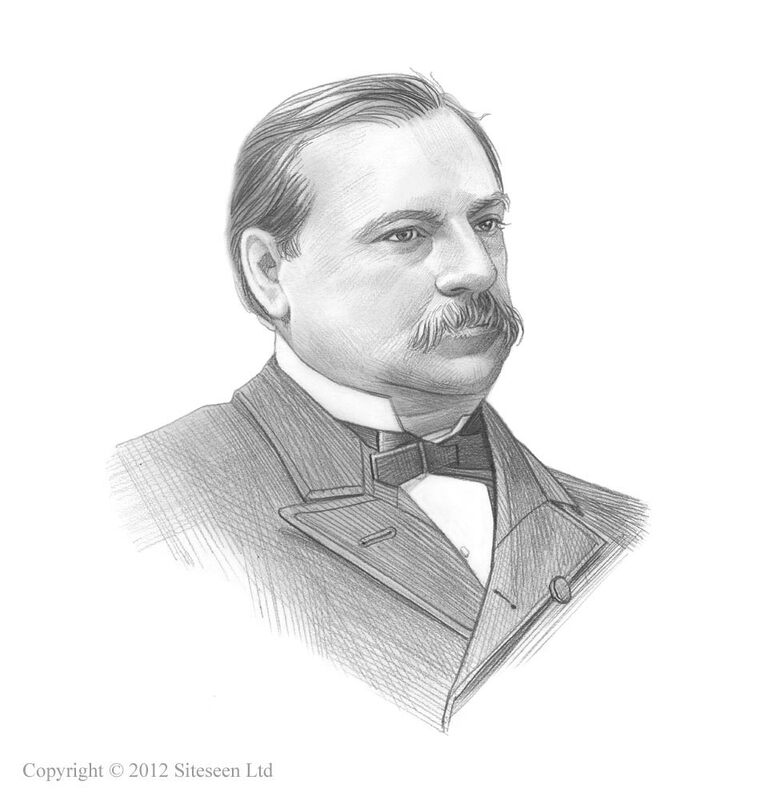 Chicago World's Fair: Grover Cleveland was the 22nd and 24th American President who served in office from March 4, 1885 to March 4, 1889 and from March 4, 1893 - March 4,1897. One of the important events during his presidency was the Chicago World's Fair. Summary and definition: The 1893 Chicago World's Fair, also known as the World's Columbian Exposition, was a World's Fair held in Jackson Park, Chicago to celebrate the 400th anniversary of the arrival of Christopher Columbus in the New World in 1492. The preparations made for holding the great commemorative exhibition took so long, and were on such a grand scale, that the exhibition was delayed until the summer of 1893. Chicago won the prize of the location of the World's Fair and on July 2, 1890 selected the site of Jackson Park and the Midway Plaisance for the great event which covered nearly 700 acres of beautiful parks and grounds providing exhibitions, music, food, and entertainments. History and interesting info about the inventions displayed and the Chicago World's Fair Facts for kids are detailed below. The opening celebration featured a naval review of the leading warships of the world. The 35 warships of the era were joined by the three Columbian caravels. The ships extended for 3 miles and represented the United States, Great Britain, France, Germany, Russia, Italy, Spain, Brazil, Holland, and Argentina. President Grover Cleveland and his cabinet arrived at the opening ceremony on the steel-clad yacht Dolphin which steamed between the two lines of warships. All of the states entered into the scheme, each state had its own building and their total appropriations amounted to $6,000,000. Each of the states of America had its own building. Replicas of famous American icons were created such as St Louis Arch made of sugar, the Statue of Liberty made out of salt and the Brooklyn Bridge was made out of soap.. The locomotives on display included a model of Stephenson's "Rocket" and the "John Bull" used on the Camden and Amboy Railroad which was the oldest locomotive in America. The United States government issued two commemorative coins. The half dollar coin featured Christopher Columbus and the quarter coin depicted Queen Isabella of Spain, who had funded the voyages of Christopher Columbus. The commemorative quarter was first U.S. coin to honor a woman. The first cable cars were in operation in time for the Chicago World's Fair. On October 9, 1893 (Chicago Day) thousands of people rode cable cars to the 1893 Columbian Exposition. The Chicago World's Fair used 120,000 electric lights. Nikola Tesla was put in charge of the lighting and power. Architecture: The Renaissance style of the Chicago World's Fair buildings was widely praised for the beauty of its architecture. The Government Building included a case of humming birds contained 133 varieties. In another exhibit 106 families of American birds were displayed. There were also stuffed flamingoes, Rocky Mountain goats and sheep, armadillos, sea otters, bisons, a walrus, crocodiles, fish and snakes. The Department of Ethnology at the Chicago World's Fair featured figures of Eskimos and Native American Indians including a tepee village. Food: Food was sold by a variety of vendors at the Chicago World's Fair. However brand new commercial products were also introduced including Cream of Wheat, Juicy Fruit gum, Cracker Jack, Quaker Oats, Shredded Wheat, the Hamburger, Chili Con Carne and Pabst Blue Ribbon beer. In the State Department there was a copy of the Declaration of Independence. Original documents on display included Lincoln's Emancipation Proclamation, the original journal of the Continental Congress and presidential proclamations issued by Washington, Franklin, Adams, Jefferson, Madison, Polk, Van Buren, Monroe, Lincoln, Grant, Arthur, and Hayes. Portraits of many famous people from history were on display in the Art Galleries. Fountains: There were many beautiful and highly decorative fountains at the Chicago World's Fair. The fountain theme became more innovative when California erected a fountain that spouted Californian wine and France built a working fountain of perfume. Thomas Edison displayed a tower of light and a kinetoscope which was the earliest motion pictures. Historic documents signed by Napoleon, Tsar Alexander of Russia and Queen Victoria were also included in the exhibits at the Chicago World's Fair. The Chicago World's Fair was a great success. It rejuvenated the city after the Great Chicago Fire of 1871. Unfortunately the Chicago World's Fair ended with two more shocking events at the hands of a political assassin and a serial killer. October 28, 1893: Chicago’s Mayor Carter Harrison was shot dead by Patrick Eugene Prendergast just 2 days before the Columbian Exposition was due to close. The closing ceremony at the Chicago World's Fair was cancelled in favor of a public memorial to the city’s mayor.